The aim of one rule is to keep lenders from issuing loans to borrowers who can't afford to pay them off. 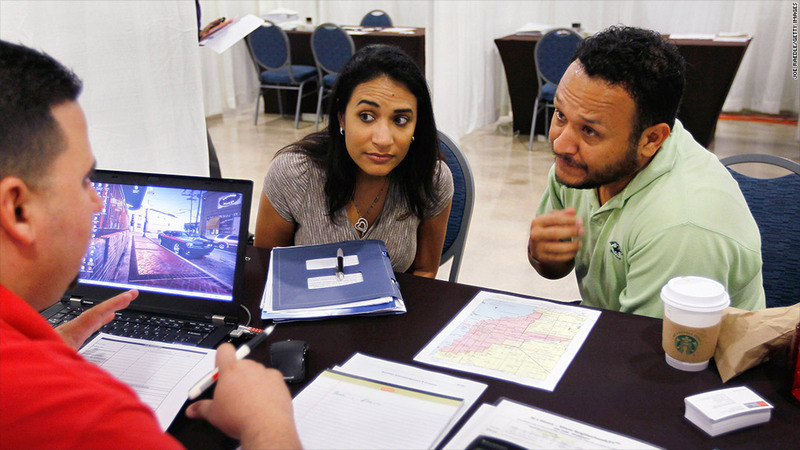 "When consumers sit down at the closing table, they shouldn't be set up to fail with mortgages they can't afford," said Richard Cordray, director of the Consumer Financial Protection Bureau. During the housing bubble, many lenders had lax underwriting standards. Banks often didn't check documentation, didn't require minimum credit scores and didn't determine whether borrowers had income enough to keep up payments. Now, when a loan meets new lending criteria outlined by the CFPB, it becomes a "qualified mortgage," which will give protection for the banks from lawsuits filed by aggrieved borrowers or buyers of mortgage-backed bonds. "It's a set of standards that protects consumers from bad loans but it also protects lenders from lawsuits," said Davis Stevens, CEO of the Mortgage Bankers Association. "Lenders are not protected if they go outside the guidelines." The new rules will eventually change the process homebuyers go through in obtaining mortgages. Here's what you need to know. Which lenders do the rules cover? All companies that give out mortgages will be governed by the new rules -- big national banks, savings and loans, community banks and credit unions. "The rules will encompass most of the market as it exists today," said William Emerson, president of QuickenLoans. Lenders must consider a borrower's other obligations like student loans, car loans and credit cards. What if a borrower doesn't meet all those guidelines? A homebuyer could still get a mortgage, but only if the mortgage payments don't exceed 43% of the borrower's pre-tax income. What other requirements are there? When judging ability to repay, lenders can't use payments based on interest-only loans or so-called negative-amortization rates, in which mortgage balances grow over time. They also can't use teaser rates, which adjust higher after a set term. Loan terms cannot exceed 30 years, and up-front fees, such as points paid to reduce interest rates, must not be excessive. To be clear: The rules don't prohibit those unconventional types of loans. But lenders, in deciding whether to give out such a loan, must judge a borrower's ability to repay as if the loan were a conventional loan.